My goodness. After the insanity that was APRIL OMG, May absolutely flew by. I suppose it helped that I spent part of it in Europe. And last weekend in Chicago. And tonight away from home yet again. I’m constantly unpacking my suitcase just so I can repack it. But I am not complaining. Not in the slightest. May, you were a blast. And here’s some of my favorite things from this crazy, delightful month! Surely by now you’re tired of hearing of my Swiss adventures, so I’ll make this quick. 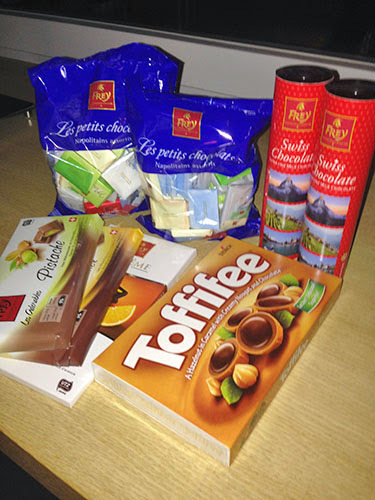 First, if you are ever in Switzerland, get thee to a grocery and buy up a bunch of Frey chocolate. It’s sort of like the Hershey of Switzerland, in that it’s inexpensive and ubiquitous, except obviously a gazillion times better. Added bonus for Toffifee, which I’d already had as a treat from Germany a few times. The customs agents didn’t bat an eyelash when they saw all the chocolate I’d declared on my form. I mean, obviously. As a gift. From the bride! 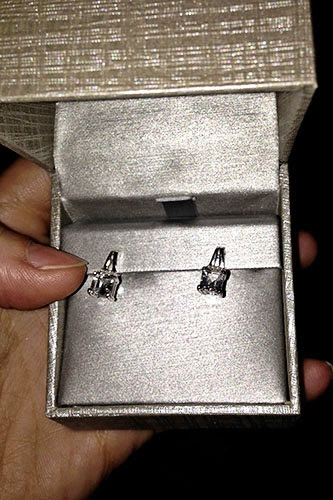 And on her little thank-you note that accompanied them, she said she picked white topaz and diamond “for her neutral-loving friend.” Heck yes, best friend. Love them. LOVE HER! Because I finally finished it in May. Oh my. The acting on this show! The plot twists! Season Four is my favorite, but I’m glad for the resolutions in Season Five. And if you haven’t watched it yet, yes. It’s worth it. Do it. DO IT! It’s not quite what you learned in Psych 101 in college. For one, he was actually kind of a looker. Who knew? To this day I can’t miss the arrow in the FedEx logo, not to mention a few less savory things I can’t unsee in other logos. This tries to explain why. Before Pantone, there was this. Given my paint chip hoarding, you better believe I wish I had my own hard copy of this book. I’ve been fortunate to see a few of these sites in real life, and I spend a shameful amount of time studying Google Maps, so these weren’t particularly surprising – but they’re excellent for perspective. Where exactly would the Proclaimers walk? Where would they walk just to be the man who walked a thousand miles to fall down at your door? Now you know. It’s a mashup of the (sometimes misleading) data analysis behind the maps, but with maps about language in the U.S. along the way! Granted, it’s best if you’re quite familiar with the show, but if you’re reading here then of course you are quite familiar with the show, I convinced you to watch it long ago. Language warning, but: YES. YES YES YES. Lettuce pockets are THE WORST. That reminds me, I had the best Chipotle burrito the last time we went, because the tortilla on my burrito broke open when the guy tried to fold it and the contents got all mixed as they were dumped in a new tortilla. I was downright GIDDY when I ate that burrito. And finally: The Ragtime Gals sing Talk Dirty! Hot dang, I like where the Tonight Show is going nowadays. That’s it and that’s all for May, dear readers! Let’s get ready for summer!